Wilderness First Responder (80 Hours) - 4 Spots Left! Don't see anything that works for you? Suggest alternate course dates or locations, and we will let you know if we can make it work! Thank you for your request! We will keep it in mind, and get back to you if we get enough interested people. Feel free to contact us anytime. Join us in one of our beautiful outdoor 'classrooms,' and spend a great day learning great skills with great people, all in the best natural environments the West Coast has to offer. You have never been in first aid classroom like this before! Convenient to the city without losing the feel of the great outdoors, Pacific Spirit Park is over 750 hectares of protected green space laced with paths and boasting some of the most diverse flora the lower mainland has to offer. Thanks to our partnership with Vancouver Regional Parks, we are able to offer your wilderness first aid experience in one of these four stunning locations in this incredible area. For Wilderness First Responder and some Advanced WFA classes, we'll head out of town to Cypress Mountain! Ideal for overnights scenarios, a wonderful variety of landscapes, and a true backcountry experience, our partnership with Hollyburn Nordic Area offers an unparalleled training opportunity for our professional and hard-core students. We come to you! Throughout BC and across Canada, if you are looking to book a course for your organization, or for a group of particularly dialed-in friends, contact us, and we will happily discuss location criteria and other logistical details of setting up a course in your community. Are you tired of boring first aid classes taught by inexperienced instructors? So were we. 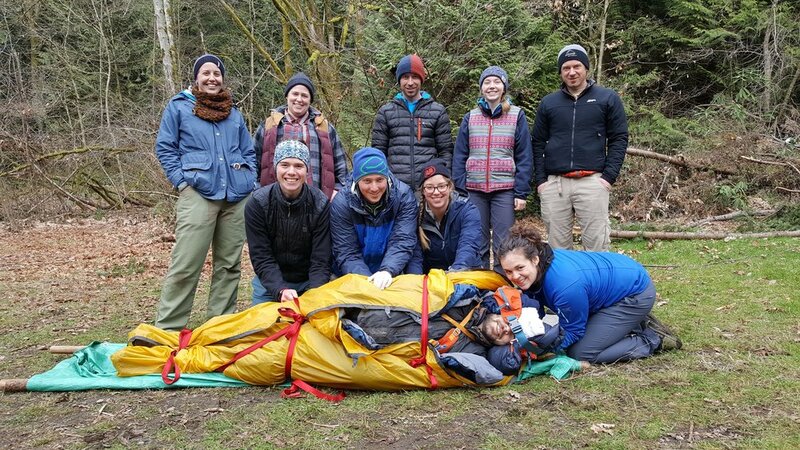 At Coast Wilderness Medical Training, medical professionals with tons of real world experience bring leadership, excitement, and a love of the outdoors to every class. Join us for fun weekends that prioritize judgement and decision-making over rote, step-by-step rules, and where learning is based on hands-on practice in realistic situations. This is where great people meet and work together to tackle tough puzzles...but don't take our word - check out unfiltered student reviews at Facebook, Google, and Yelp. Best first aid training that I've ever had. Period. Kieran is a fantastic instructor and I highly recommend him. He's always ready to justify why you'd take a particular action, whether it's based in the latest scientific research, or just rooted in pragmatism.... it was really something to be able to tap into some of his vast experience. You want to learn first aid? Go here. Kieran is a fantastic instructor. I hired Kieran to do a WFA course for a group of my grade 11/12 Outdoor Ed students. All of the students had a great time while learning with Kieran. Would highly recommend him for school-group courses. 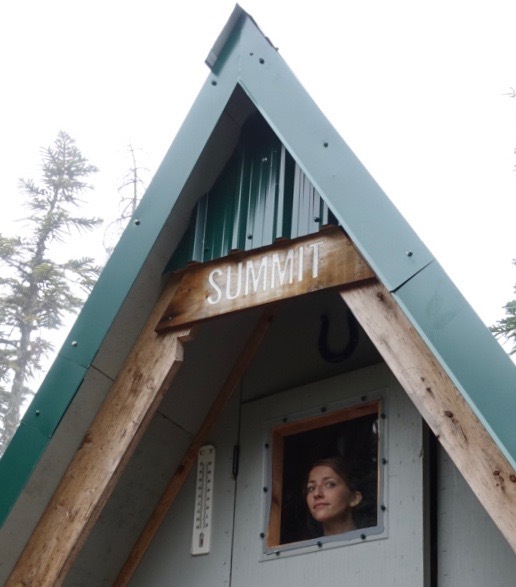 “Kieran Hartle’s Wilderness First Aid course is a local gem. The WFA training is presented in a remote-location context and provides positive learning, situational leadership and team-building opportunities. Without a doubt Kieran's class is the most professional, complete, and entertaining certification course around. Do yourself a favour and sign up for his Wilderness First Aid if you consider yourself even a limited outdoors enthusiast. 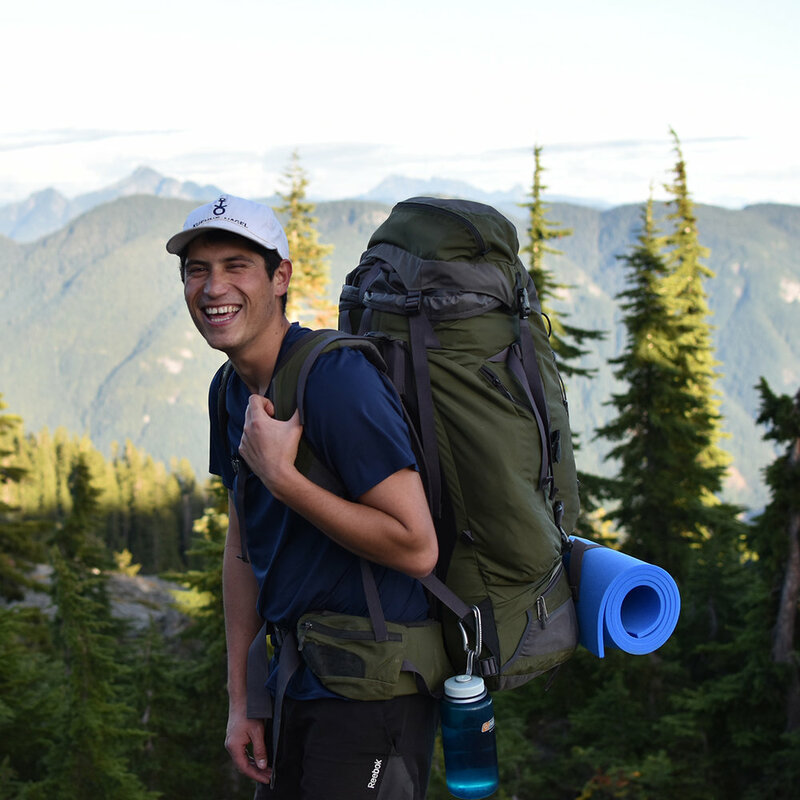 A paramedic with BCAS and Nordic Ski Patroller, Kieran's love of the outdoors led him to fall in love with the world of Wilderness Medicine. 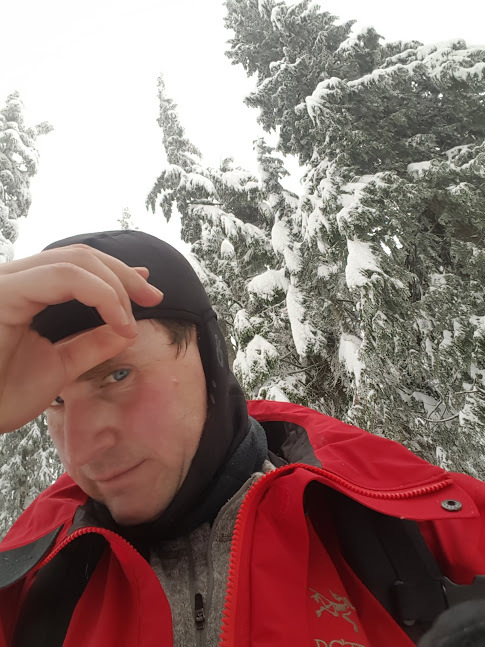 A certified Red Cross Wilderness and Remote First Aid instructor since 2014, Kieran was among Canada's first cohort of Red Cross Wilderness First Responder Instructors in 2018, and participated in developing the scenarios that serve as the foundation of that program. Kieran is also a member of the Wilderness Medical Society. Quinn is a paramedic with BCAS and a big fan of the outdoors. When she is not working, she can be found mapping out thru-hikes to add to her collection. Quinn is happiest in a tent with an improvised pillow under her head and a bag of sour jelly bellies in her pack. Cole is originally from Auckland, New Zealand. Since moving to BC 8 years ago, he has worked within the outdoor recreation industry in a variety of different roles. Cole loves to work with people and being able to do that outside makes it even better. In his free time, he can be found snowboarding, canoeing, hiking or just hanging out with his dog. FX has been an outdoors professional for more than two decades. He has guided and instructed outdoor activities and trips all around the world, from mountain biking in Nepal to ski touring in Argentina and numerous other adventures. FX is an active SAR specialist member in Lions Bay, and is also a member of ACMG. His real-life experiences in the backcountry bring credibility to his role as a WFA instructor. Lydia is an Emergency Medical Responder. She also has training in Swift Water Rescue and was a member of SAR when she lived in Ontario. Lydia caught the Wilderness Medicine bug many years ago and is excited to share her knowledge and skills as an instructor. You tend to see Lydia with a 4-legged cutie by her side. Her largest passion lies in training puppies for service with PADS. We are proud to list the following organizations as among those who trust Coast Wilderness Medical Training with their Wilderness First Aid training.